Congratulations to everyone who participated, and to the highest-scoring teams and individuals! 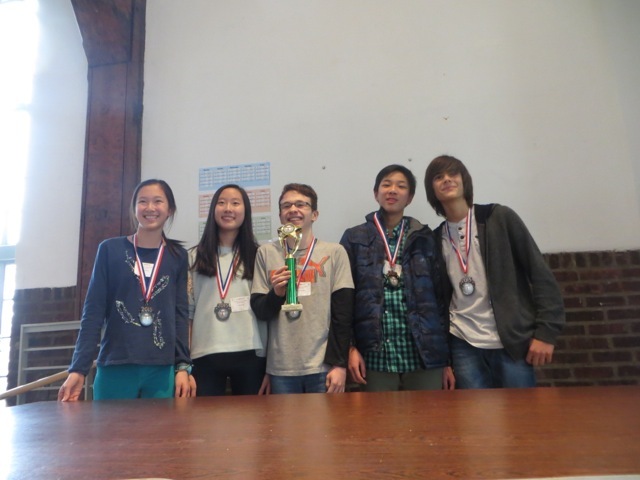 Schools are invited to register five-member teams of students in grades 7 and 8 to compete. Teachers who have brought teams before insist on returning year after year. The opportunity for students to grow mathematically is unsurpassed, the problems are clever, engaging, and challenging, and the atmosphere is exciting for students and teachers alike.